J D Neuhaus (JDN), the world leader in air hoists, cranes, trolleys and monorail hoists, has further enhanced their remote control capabilities. This innovation will bring exceptional ease-of-use and convenience to users across all industries. 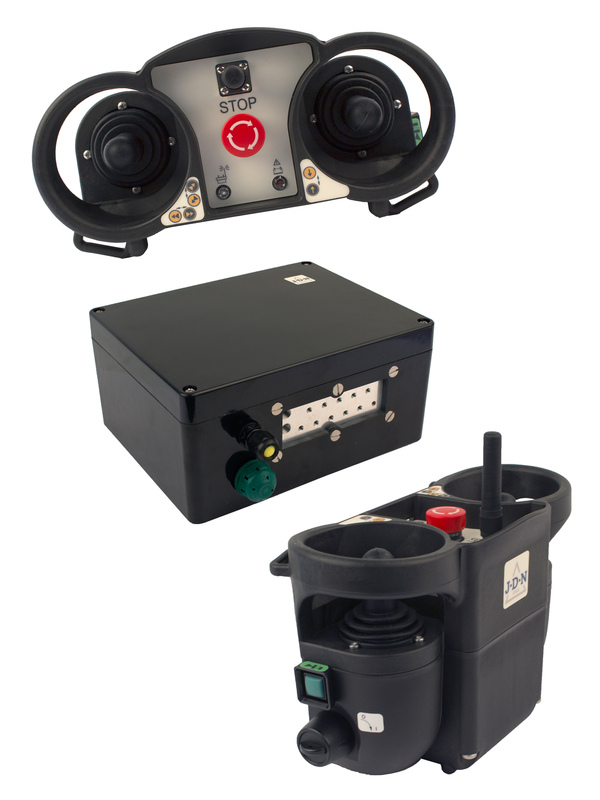 Three remote control models are now available, RC-X, RC‑S and RC-SP, each comprising of a transmitter and receiver and all can either be integrated in existing JDN solutions or directly combined with a new JDN hoist. Individual solutions according to specific customer needs are available. Up to 20 hours of use is possible before recharging of the portable transmitter is required. Perfect for covering long distances between hoist and operator, the JDN RC represents a sensitive alternative to applications with long control hoses. 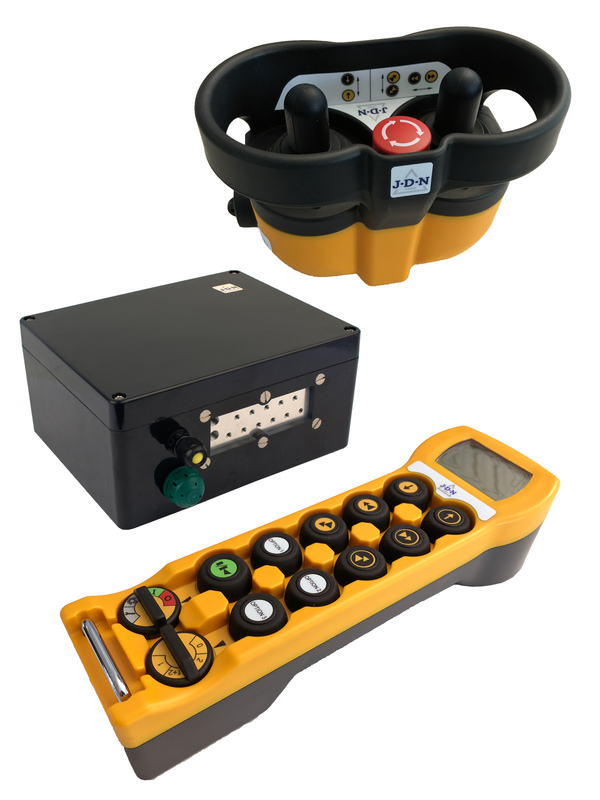 In addition, it can be used in hard-to-reach places and for simultaneous control of multiple hoists. JDN located in Witten, Germany, has over 200 employees worldwide and is a manufacturer for pneumatic and hydraulic hoisting devices and crane systems. Its internationally unique specialisation sets the benchmark for quality in their field. With customers in over 90 countries J D Neuhaus is furthermore also the world market leader. The products are characterised by their ability to steadily and reliably move loads of up to 115 tonnes even under the most extreme conditions. This also includes the protection against explosion. JDN products are e.g. used in the field of gas and oil movement, under arctic temperatures down to -45°C, under water for ship repairs, for mining applications, in the chemicals industry, for heavy machinery construction and in various areas of logistics. J D Neuhaus supplies a total of around 70 industries. Production exclusively takes place at the JDN headquarter in Witten, Germany. The wide range of products is complemented by services such as installation, inspection, maintenance, general overhaul of the systems and individual trainings for customers. In collaboration with international partners and JDN subsidiaries in France, Great Britain, Singapore, and the United States, the company has developed a close-knit distribution network that spans the globe. J D Neuhaus has an export rate of over 80%. Founded in 1745 the company is now family-owned in the seventh generation. The hoisting device museum worth visiting at the JDN headquarter in Witten, Germany, showcases the company’s history as a lively part of corporate culture.